I think this is the first photo I ever loaded to Babette Feasts.. Here are things I have loved about this month. Everything was a potential topic. Recipes, essays, photos, my art. I thought about it often. I made notes to myself while I was out and about about ideas for the blog. I got to read a lot of other fabulous blogs. I woke up and had a plan for the blog. 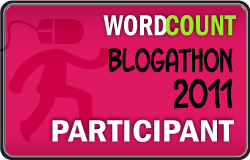 I love blogathon. If I take anything away from this month, it will be to schedule posts for the next few months.